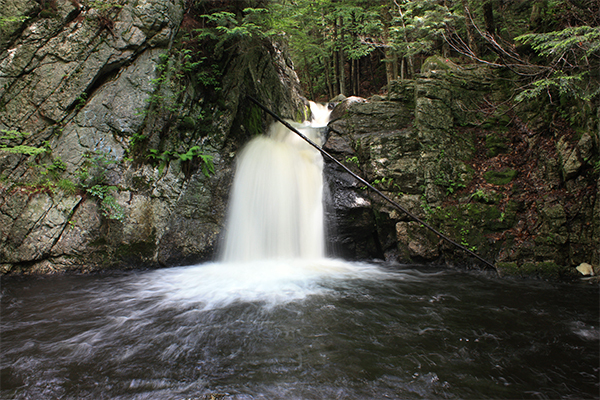 Beaver Brook Falls is a double plunge that will barely be visible to casual visitors. The view that earns this waterfall its recommended rating requires a short bushwhack downstream. 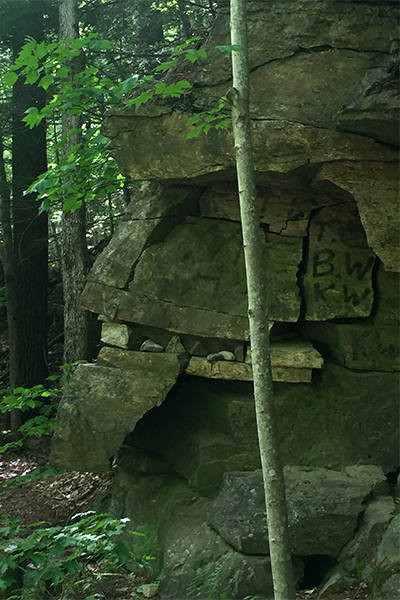 From the edge of the brook, you will clearly see that the lower plunge is 6 feet wide and 12 feet high. The mossy green surroundings, thick tree cover, and the dark gorge that the falls pass through create challenges to the photographer but add to the rich atmosphere of the location. 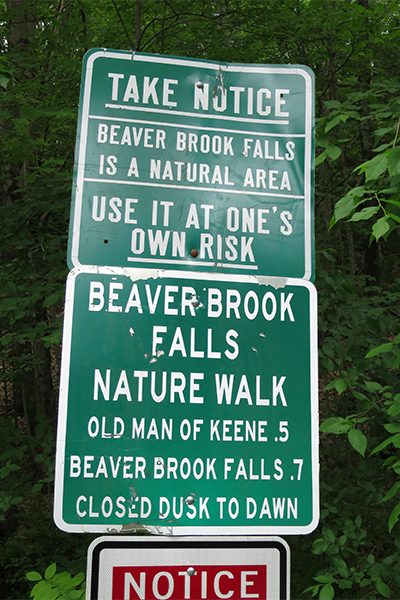 Please note the falls themselves are not visible from the trail above; only the sound of rushing water and a gentle stream above make you aware that there is something worthy of note below.